"The Federal Open Market Committee (FOMC) judges that inflation at the rate of 2 percent (as measured by the annual change in the price index for personal consumption expenditures, or PCE) is most consistent over the longer run with the Federal Reserve's mandate for price stability." What? If you go to your doctor and tell him “I have decided that gaining 2% of my body weight every month is most consistent over the longer run with my mandate for weight stability,” he would hopefully explain to you, in a worried and patient fashion, that starting at your now-healthy weight of 175 pounds, you’d weigh 346 in just two years. Your stated policy, if followed, would guarantee disaster. The Fed’s policy, if followed, guarantees the perpetual devaluation and eventual collapse of the US dollar. You don't keep something stable by increasing it. Yet the Fed boldly tells us otherwise. Forget the fact that the Fed is out-and-out incapable of making this happen. It’s not that easy to simply conjure 2% inflation. Which is good, given how destructive that would be over time. Further, the Fed has no choice but to say that they want inflation because the lion’s share of their policy is based on diluting fiat currency. And that, not prices moving higher, is the literal definitional of inflation. Which is the root cause of endlessly higher prices, which inevitably culminate in catastrophic hyperinflation as public confidence in steadily-then-suddenly-becoming-worthless paper money unravels. All else being equal, why on Earth would the Fed actively desire to see prices rise over time? Wouldn’t the best scenario involve steady prices? Of course. But this is one of the many situations that gives the lie to the Fed’s reason for existence. 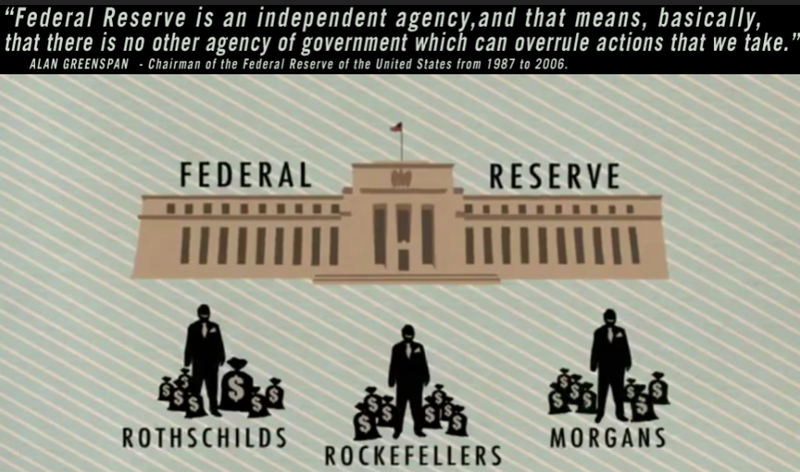 The Fed does not exist to serve the American people. The Fed exists to make money for its member banks. Don’t believe the Fed’s PR whitewash. Don’t accept its own non-answers about whether or not it is a for-profit private company (“Yes and no.” Or “No.” Or “Yes” — member banks hold stock in the Federal Reserve Banks and earn dividends.) The Fed’s own websites contradict themselves as they attempt to obfuscate and warp the simple and ugly truth. It is privately owned and exists for the benefit of very, very few. It controls a great deal of the economics of your life and future, and its contradictory and manipulative policies spell suffering for everyone who isn’t one of the owners of this Ponzi scheme. The owners which you are not allowed to know. The laws of economic science have not been repealed. An inflation target will lead to the impoverishment of not just workers, but lower living standards for all.